To tell the story of Blytheville and the surrounding area by interpreting the land and its impact on the people. Choose Temporary Exhibits from the Exhibits drop down menu for information on current and upcoming traveling exhibits! We need your help to fulfill our mission! Our first permanent exhibit is now OPEN! In 1541, Hernando de Soto crossed the Mississippi River into what is now the Arkansas Delta and found a thriving, settled population of native peoples engaged in agriculture, long distance trade, and occasional warfare among neighboring villages. It was the late Mississippian Period and a large settlement supporting perhaps thousands of people occupied the site where Blytheville is today. Visitors will learn about the culture and lifeways of those ancient people, the original occupants of the Delta. 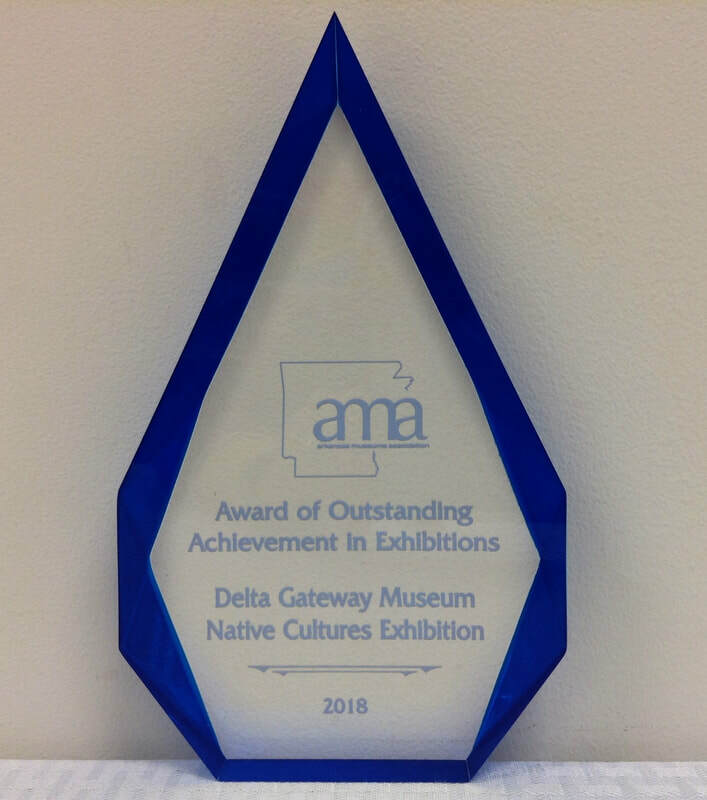 DGM wins statewide award for our new native cultures exhibition! 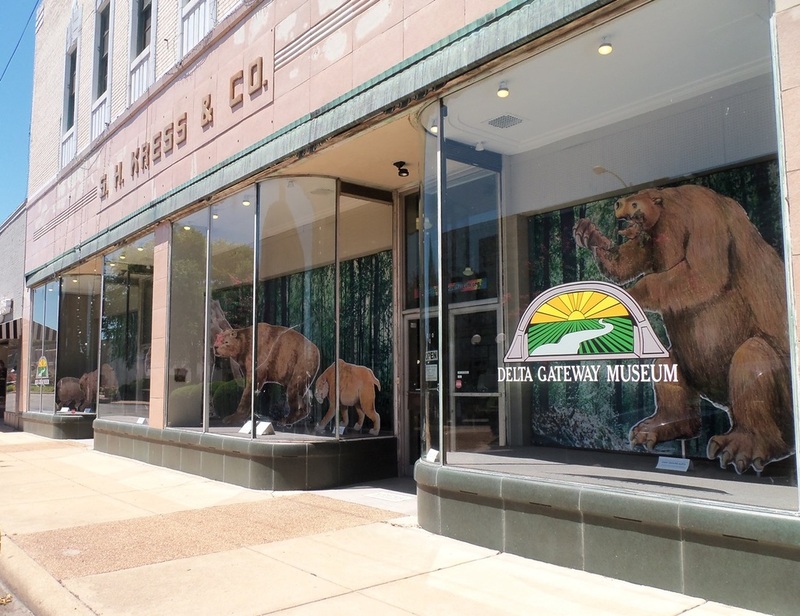 Housed in the historic Kress Building in the heart of Blytheville’s Commercial Historic District, this regional heritage museum illustrates broad historical themes in one of the world’s most fertile agricultural regions. Planned exhibitions focus on the development of cotton, soybean, and rice agriculture, along with interrelated topics such as the timber industry and swamp drainage; river, rail, & highway transportation; earthquakes, flooding, and flood control; prehistoric Native American culture; and the regional impact of the Air Force base and steel industry. Click on the Exhibits tab above to learn more! 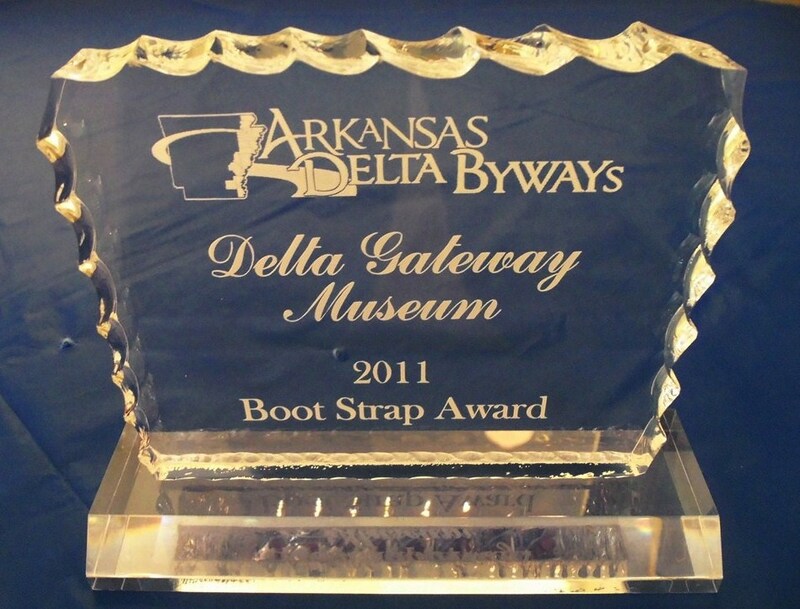 Winner of the Arkansas Delta Byways 2011 Bootstrap Award presented to an individual, organization or community that has achieved significant success “on a shoestring,” having limited means to work with, either in resources or finances. 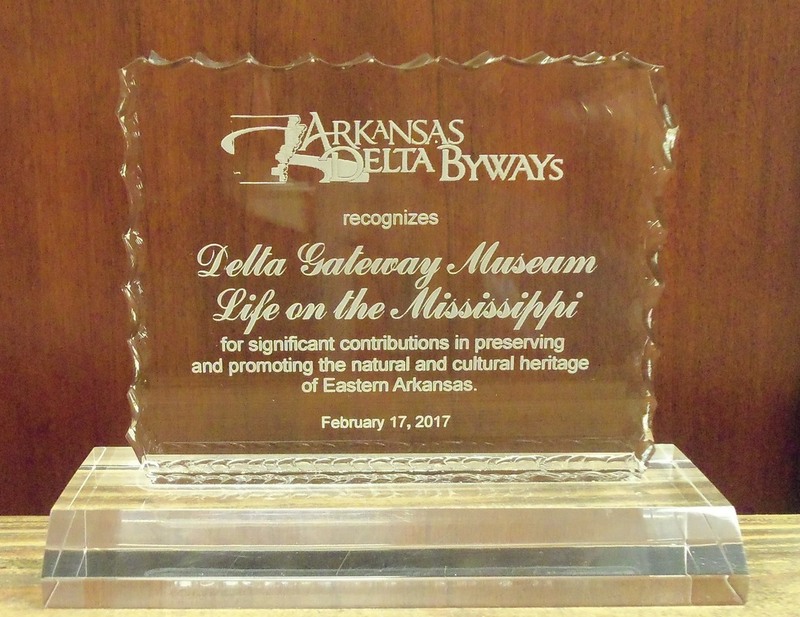 DGM was recognized again in 2017 by Arkansas Delta Byways, our regional tourism association. 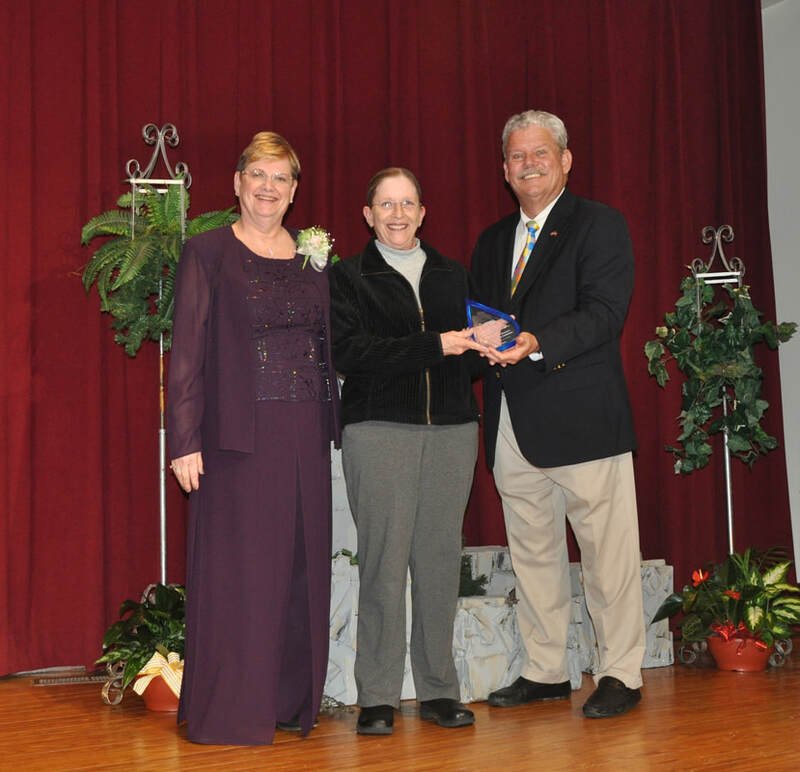 DGM is a member of the Arkansas Museums Association. Learn more about this statewide organization here. 2018 AMA annual conference award ceremony at the Ozark Folk Center. From left: Gloria Sanders, AMA Vice President; Leslie Hester, DGM Director; Steve Rucker, Arkansas National Guard Museum (retired).